Arrowhead is a global leader in the development and distribution of innovative automotive solutions. Our new and longstanding products are engineered for virtually any vehicle operating on the roads. Through J&N, we offer the most extensive selection of OEM and aftermarket parts, with over 60 major brands. We also implement a Next Day Service program allowing for exceedingly high fill and availability rates. With world class service, first-to-market offerings and continuous product development, we are preparing automotive businesses for the future of electronics. We understand that for repair shops, a quick turnaround for parts is essential for a timely repair job on vehicles. That’s why we offer same day shipping on all in-stock parts. 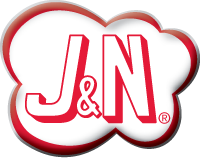 J&N is a distributor of rotating electric units and parts in every major OEM starter and alternator brand as well as the J&N brand of aftermarket parts.